ProductCamp Toronto is a collaborative, user-organized unconference, focused on product development, product marketing and product management. ProductCamp is a great opportunity for you to learn from, teach to, and network with professionals involved in Product Management, Marketing, and Development from Toronto and the surrounding area! 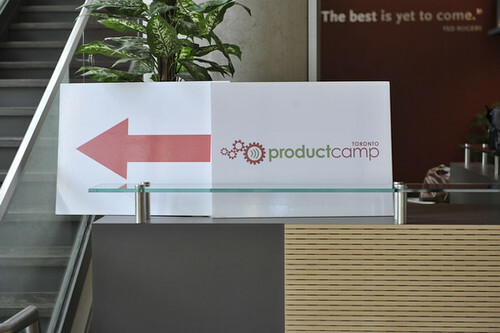 Want to find out more about what its like to participate in ProductCamp? Check out Shawn’s posting about her experience at ProductCamp Toronto 2011 or take a look at some of the pictures from previous ProductCamp Toronto events.